This European Commission-sponsored workshop will take place at the EC’s Charlemagne building, Room Alcide de Gasperi (GASP), Rue de la Loi 170 in Brussels. It begins at 9 a.m. and ends at noon. 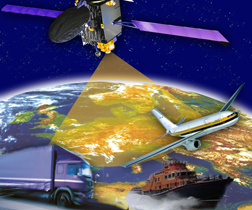 Participants will discuss their opinions and experiences with the European GNSS downstream applications sector. The goal is to "maximise and ensure the market uptake of European GNSS applications," according to the organizers. Those who would like to make a presentation at the workshop should send their remarks to ENTR-EU-SAT-NAV-APPL-INTL AFFAIRS@ec.europa.eu by May 29.